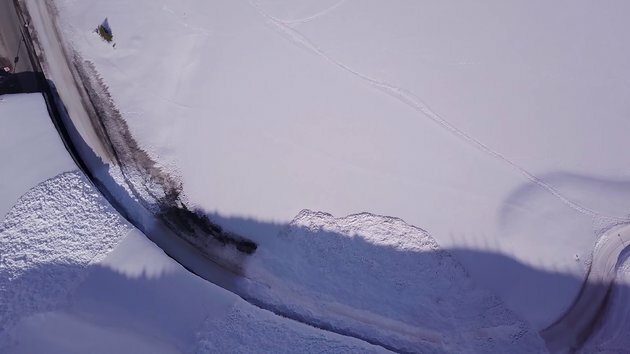 Avalanche in Tignes on 18th of April, between Tignes le Lac and Val claret, nobody was injured or involved in this avalanche because it was secured before by pisteur. If I were the French which very thankfully I'm not, as there are many of them and just the one of me, I couldn't cope with all that diversity. But if I were, I'd demand a referendum on Avalanches, options to stay or go. I'm thinking the majority of French people would vote stay. Of course afterwards there would be a lot of debate over the meaning of stay, some would argue, because they are French that stay meant to stay-put ie not do the moving down the mountain thing, while others would argue that stay meant keeping the Avalanches. Those who voted go would of course argue that they did so because they thought go meant move down the mountain while other Frenchies thought go meant get rid of the Avalanches. Eventually it would go to Brussels and two and a half years later there would still be no decision. #2 Hmmm....yeah, you're right. Love my profile picture!